Uncertain Prospect. Lenovo has created an AMD version of the X270. It excels in terms of input devices, security and portability. However, the stability and build quality are subpar, and the display somehow does not quite seem to fit the bill. 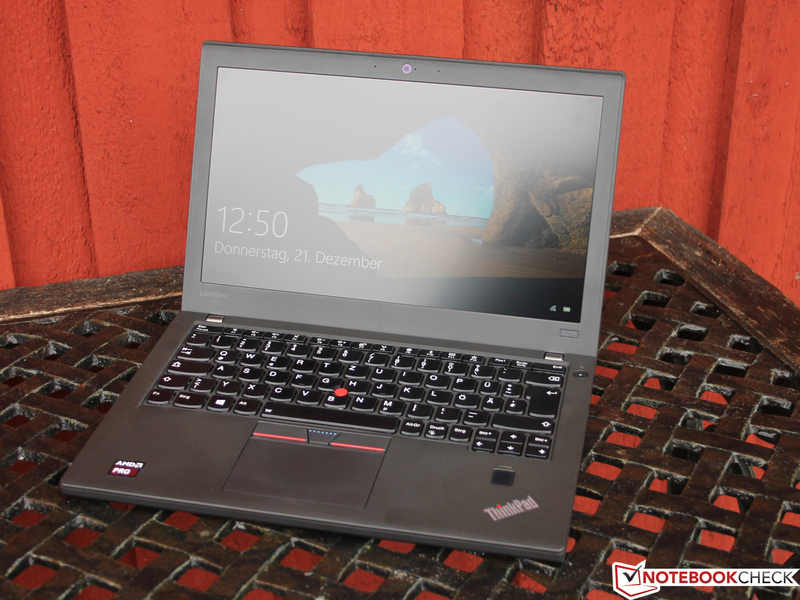 Lenovo ThinkPad A275, PRO A12-9800B. 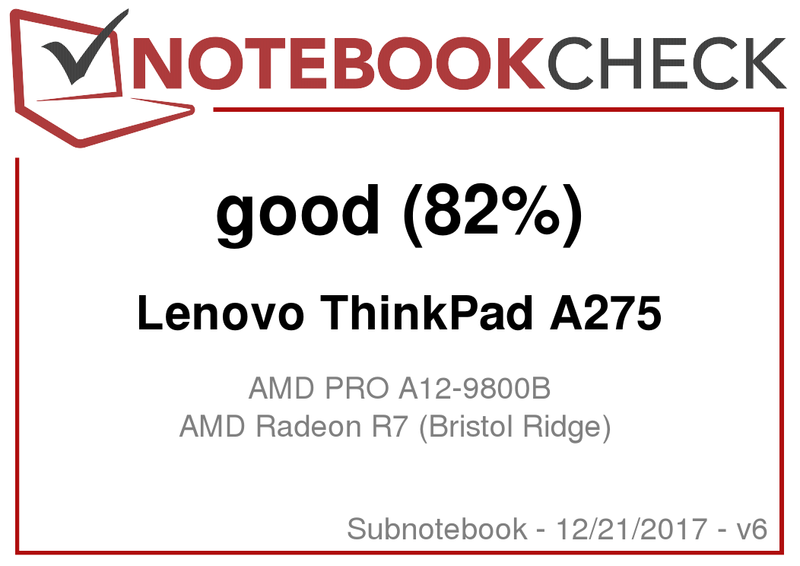 The ThinkPad A275 and its larger 15-inch sibling A475 are Lenovo’s attempt at providing the business market with Bristol Ridge APUs. As such, they are part of Lenovo’s AMD business strategy. Granted, releasing a Bristol Ridge notebook at a time when AMD’s Ryzen (Raven Ridge) is already available in other notebooks, such as the HP Envy x360 15 or Acer Swift 3 seems pretty silly from a marketing point of view. 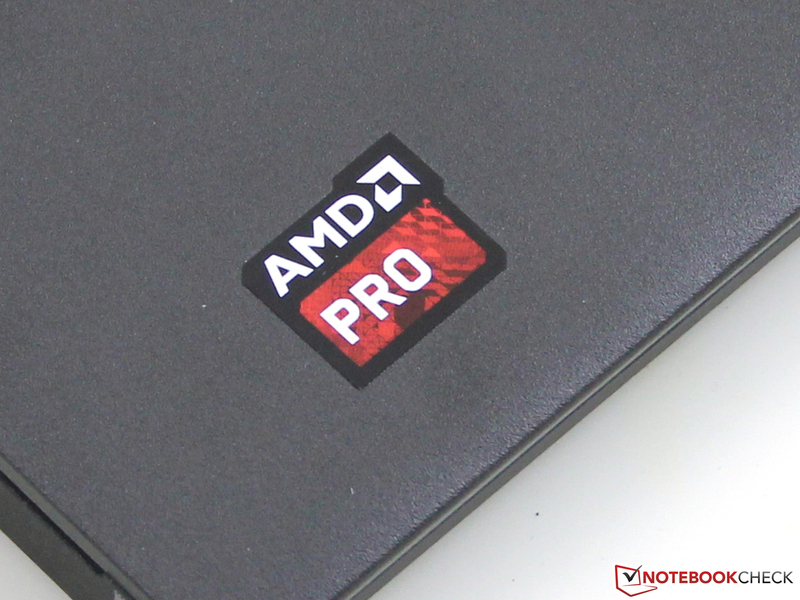 In previous reviews, AMD’s PRO A12-9800B released in June 2016 and featured in business laptops such as the HP EliteBook 725 G4, was not necessarily the fastest player on the field. In fact, it was one of the slowest alternatives available and barely managed to beat Intel’s passively cooled m3-6Y30 in multi-core tests by a hair’s breadth. Accordingly, the Lenovo ThinkPad A275 is just as slow. Yet performance is but one factor for a business notebook, and other factors such as build quality, display, battery life, connectivity and input devices are just as important. Combined, they can turn the tables and transform the A275 into a viable business alternative. How does the A275 stack up against a plethora of Intel candidates? Among others, it is up against the 12.5-inch Lenovo ThinkPad X260 equipped with Core i7-6500U and 256 GB storage for around $1,600 as well as its successor X270 - upon which the A275’s case is based – for around $1,500. 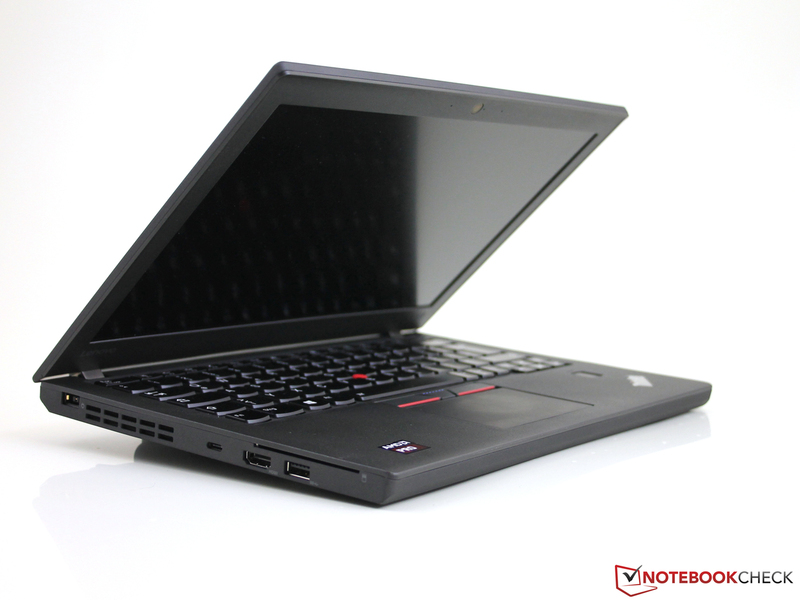 Another noteworthy in-house competitor for around $900 is the i5-7200U-equipped ThinkPad 13 with 256 GB SSD, a matte FHD panel and USB Type-C. The HP EliteBook 820 G3, equipped with an i5-6200U (Skylake) and a 256 GB SSD is available for around $1,000. HP’s equivalent is the EliteBook 725 G4, a 12.5-inch notebook with Bristol Ridge APU for around the same price as the A275. The A275’s and A475’s cases are based on the X270 and T470, respectively. The matte polycarbonate shell is MIL-STD-810G specified, which does not mean it is bullet- or shatterproof, but that the manufacturer has managed to pass at least one of the several dozens of tests. Whether that was contamination by liquids or fire remains unknown. Accordingly, we have failed to notice any extraordinary capabilities. Instead, the first thing we did notice was the base unit’s noticeably rickety creaky structure: the entire tray into which the keyboard is set from above creaks enormously under torsion. And it does not take much to cause this; just picking the 12-inch notebook up by either corner is more than enough. Most of the creaking seems to originate from the area around the user-replaceable external battery. The X270, in comparison, did no such thing. Despite the fact that the case was anything but perfect, it did not creak or twist when picked up and lifted by the corner. The palm rests are very firm and solid thanks to a magnesium insert. Placed on the table the A275 seems very solid and premium. The lid and bottom are rubber-coated for a more secure grip, and they are not susceptible to fingerprints at all. Just like the base the lid also twists quite easily. Fortunately, this does not result in visible distortions. The hinges are tight and firm and the display cannot be lifted one-handed. 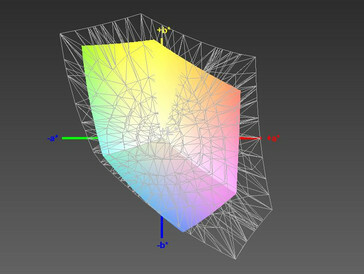 A maximum opening angle of 180° means that the display can be folded back all the way to rest on the table. The A275 lacks a dedicated maintenance flap and features a removable top case instead. Top case and keyboard can be lifted and removed after undoing a few Philips screws at the bottom. Size and weight in comparison. 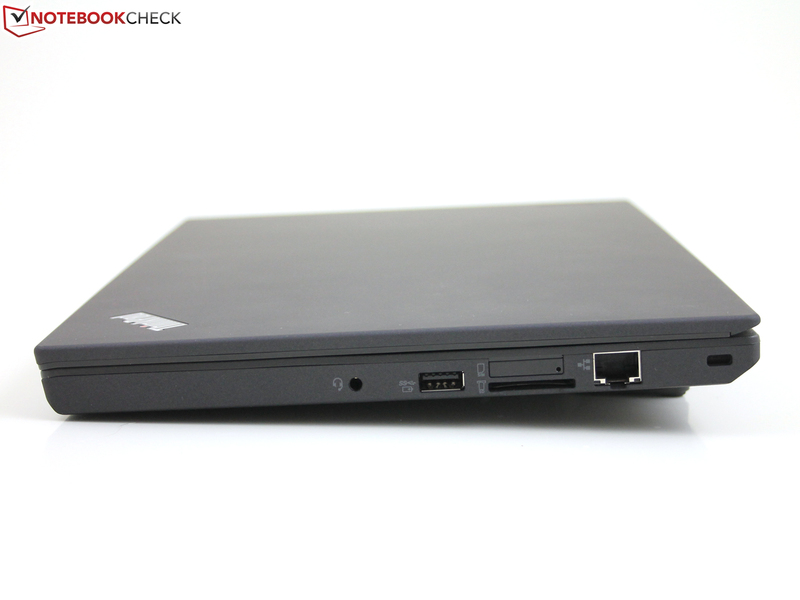 The overall appearance of the ThinkPad A275 is compact yet bulky, and Lenovo has managed a plethora of ports on the device. At first glance they seem to be identical to the X270 (Core i5, FHD), which also lacks VGA and DisplayPort. On second glance, however, there is one major difference: The USB Type-C port (USB 3.1 Gen. 1) with power delivery (charging via USB-C) supports DisplayPort pass-through via Type-C. Just like on the X270, Thunderbolt 3 is not supported. Unlike the A475 the A275 lacks the dedicated docking port at the bottom of the device. 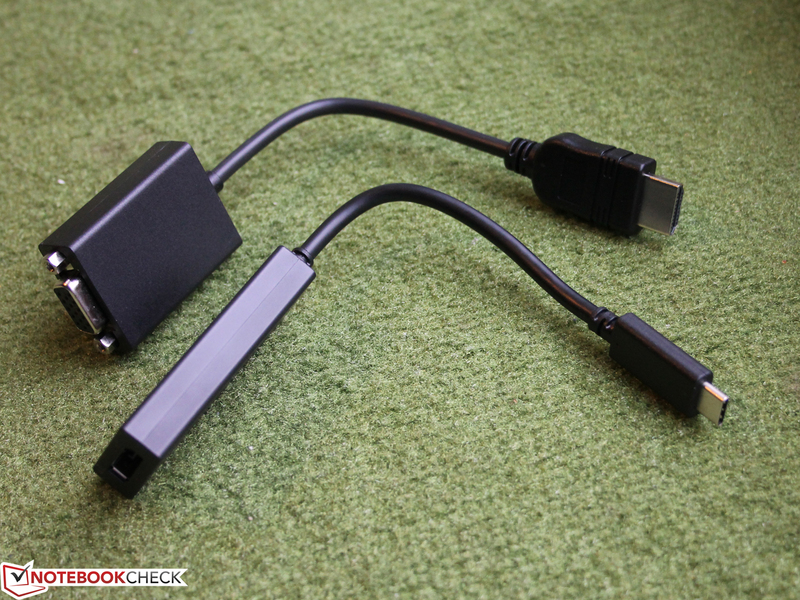 It is a mystery to us why the port is missing, and it means that Lenovo’s docking stations such as the ThinkPad Pro Dock are completely useless for A275 owners. The X270 on the other hand, offers full docking support. As always, we test the internal SD card reader with our 64 GB Toshiba Exceria Pro SDXC UHS-II reference card, and it did quite well overall. 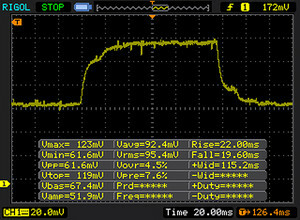 83 MB/s transferring large chunks of data and 61 MB/s during the JPEG copy test (transferring JPEG files of around 5 MB each onto the internal storage) hint at a fairly fast internal connection. 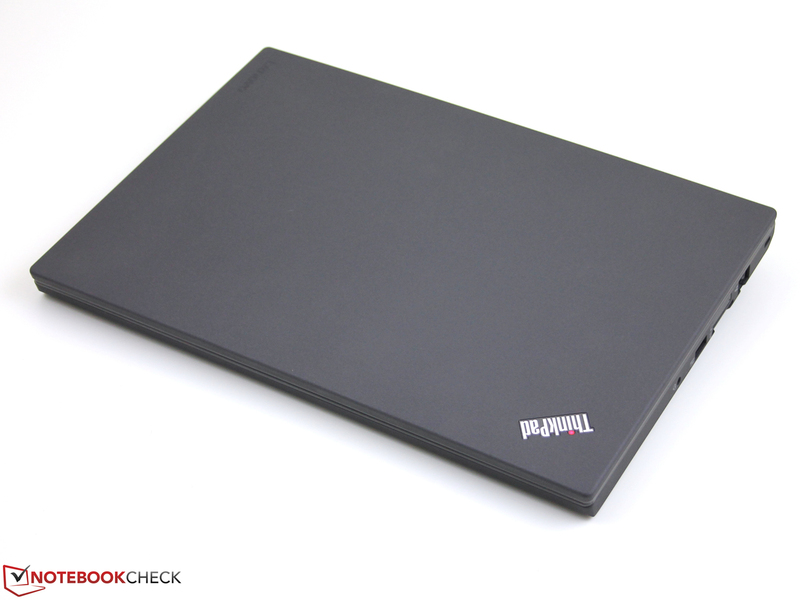 Unlike most more expensive business laptops our review unit is not equipped with Intel communication modules, but modules made by Realtek instead. The 8822BE Wi-Fi chip supports Bluetooth 4.1 and ac Wi-Fi and is able to keep up with its competitors. That said, the Intel-equipped X270 was significantly faster. The Ethernet-Chip is also made by Realtek, and the A275 lacks support for NFC. It is WWAN-ready with antennas installed by default and a SIM card slot on the right-hand side. The A275 features the standard Lenovo touch fingerprint reader. It is faster and more accurate than the older swipe-style readers. 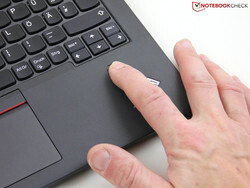 During our tests we had no trouble logging into the computer by simply placing the finger on top of the reader. In addition to the said reader, the A275 offers several software security features, such as Computrace Anti-Theft and TPM 2.0. It also has a Kensington Lock insert and a smartcard reader. 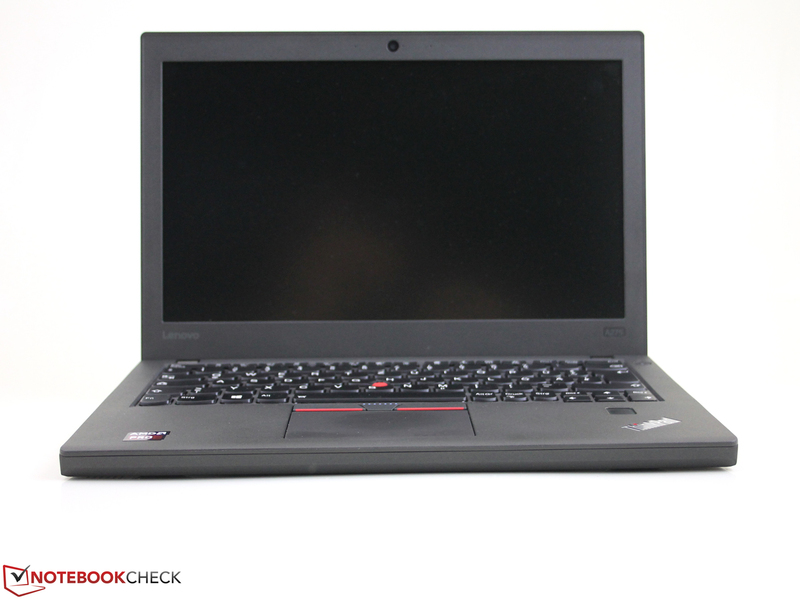 The A275’s microphones are not as well adjusted and clear as other ThinkPad microphones. Depending on the distance from the microphone the voices tend to sound mechanically distorted. Overall, this effect was not too annoying though. Unfortunately, this cannot be said about the 720p webcam, which is pretty poor. Even in good lighting conditions the resulting recordings or images are blurred, noisy, and inaccurate. The noise increases significantly under poor lighting conditions. 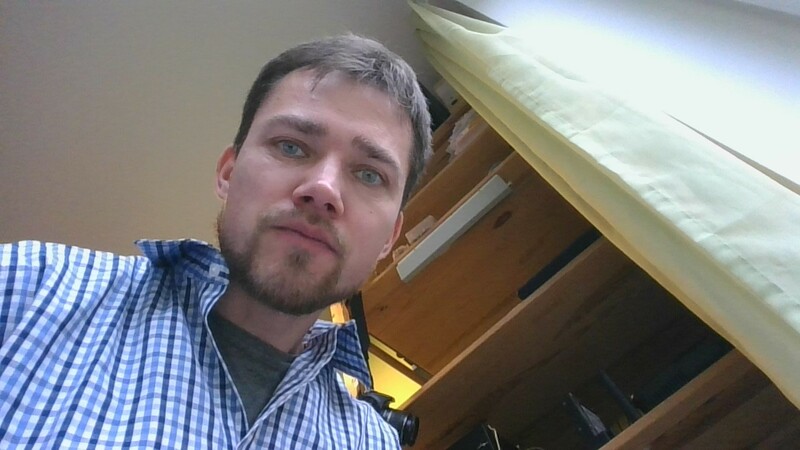 The 720p webcam is pretty poor. 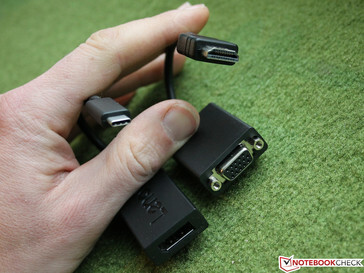 ... and HDMI to VGA dongles. Opening the A275 is just as tricky and complicated as opening the X270. Our main gripe with this particular case are the plastic latches that hold the base cover and palm rest firmly in place in addition to the eight screws at the bottom. This is also most probably the reason why Lenovo deems almost all components to be FRUs (factory replaceable units) instead of CRUs (customer replaceable units). Only the base cover, the external battery, and the Micro SIM are classified as CRUs. Nevertheless, somewhat experienced and patient tinkerers can still service this laptop. Once the base cover has been removed, almost all components are out in the open. One of the more complicated replacements is the keyboard: aside from the display, palm rest and touchpad all components, including the motherboard have to be removed and/or disassembled to get to the keyboard. Components more readily accessible include the fans, the M.2 SSD installed in a caddy inside the 2.5-inch drive bay, the single RAM module, and the wireless communication modules including the WWAN antennas. 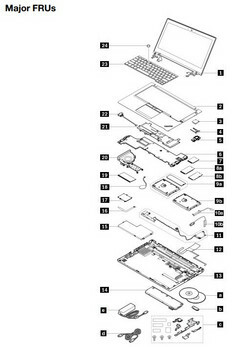 Lenovo’s Hardware Maintenance Manual for the A275 is pretty much a must when taking this laptop apart. 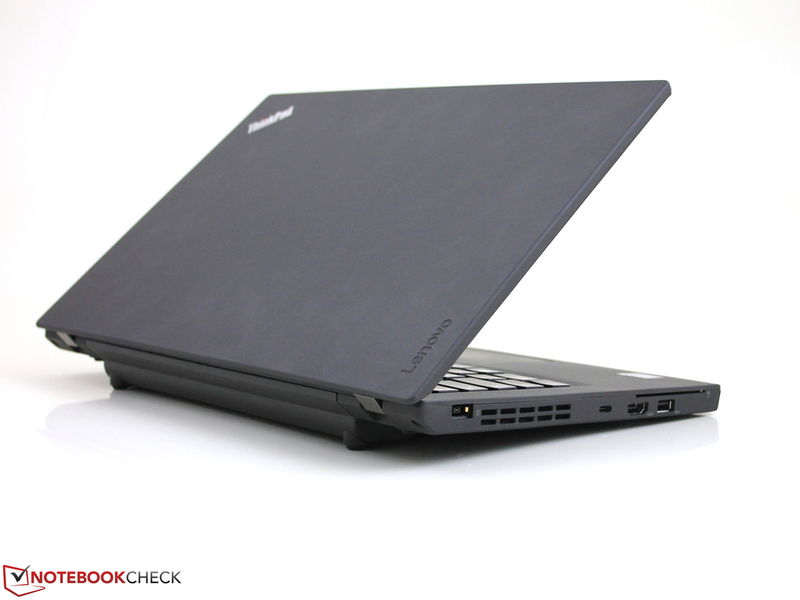 By default, Lenovo offers only a 1-year limited bring-in warranty. In some countries, the X270 is sold with a 3-year limited warranty by default, but neither the United States nor Canada are part of this program. Depending on country of purchase defects liability is available as well. 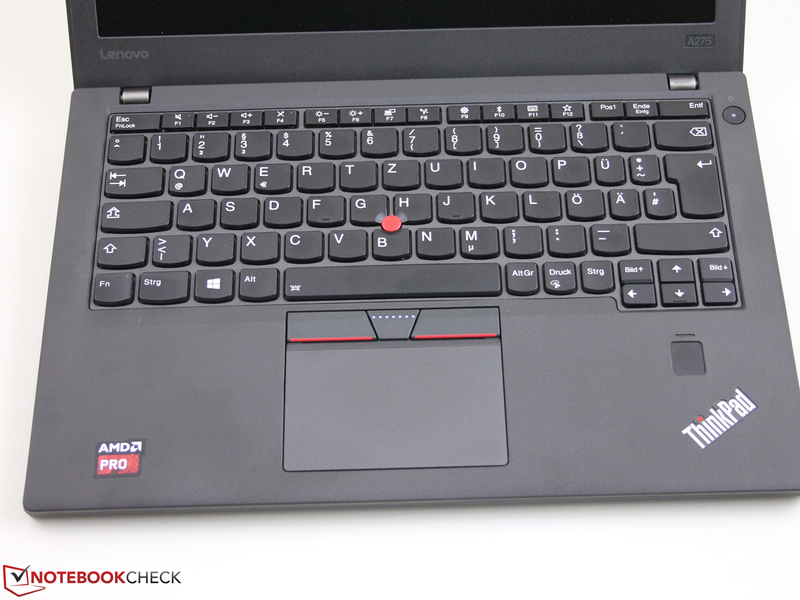 The keyboard layout is largely identical to the ThinkPad 13. The “largely” part of that statement refers to slightly narrower AltGr, Print, and Ctrl (right) keys. 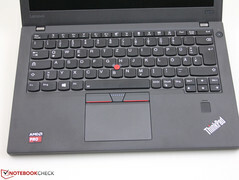 In addition, End and Ins at the top right have been consolidated onto a single key on the A275 whereas the ThinkPad 13 has two separate End and Ins keys. 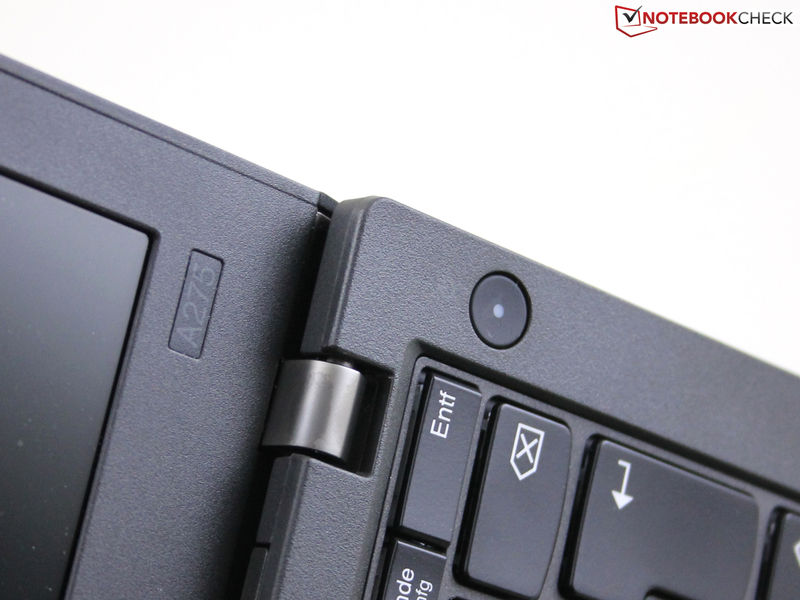 Fn lock is signalized by a status LED inside the Fn key at the bottom left instead of the ThinkPad 13’s Esc/Fn lock key at the top left. As is quite common with ThinkPads, the A275’s keyboard offers a very firm and muffled feedback and keystroke. The chassis does not flex the least, and the white labels on the two-stage adjustable backlit keycaps are easily readable. Feedback is very firm and immensely comfortable and satisfying. At around 2 mm (~0.08 in), key travel is pretty generous. 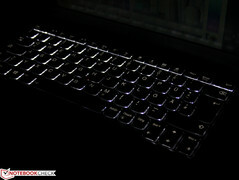 The cone-shaped keys’ surface is quite smooth. 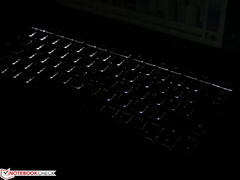 Typing noise is very low, but the keys are not completely inaudible. 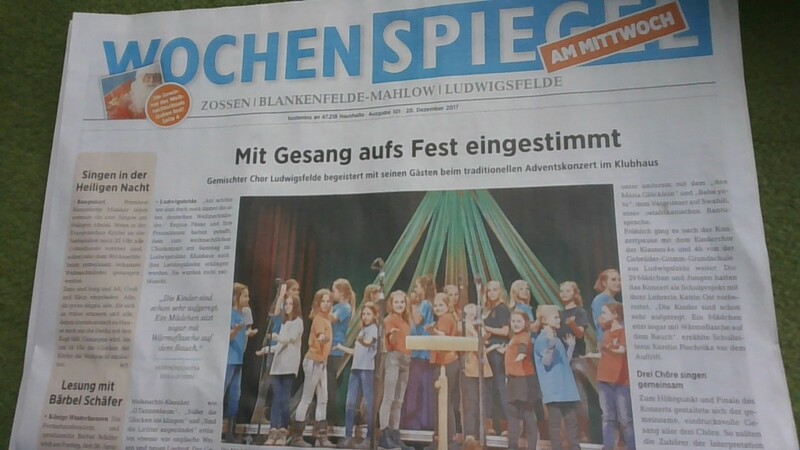 In our personal opinion overall soundscape is near perfect, and it is quiet enough not to disturb others nearby. Accordingly, the A275 is well suited for quiet environments such as libraries. 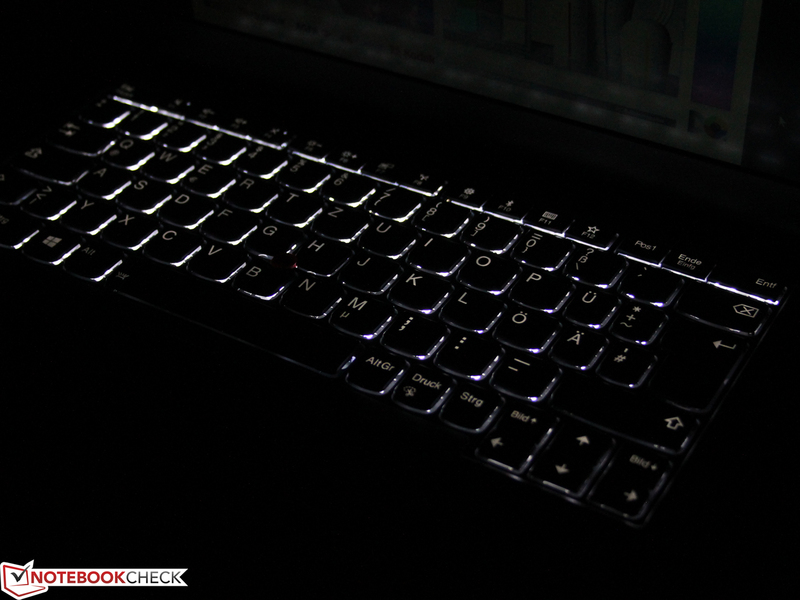 The A275 features a ClickPad and a TrackPoint, and both worked without complaints. The three dedicated mouse buttons on top of the touchpad were comfortably quiet. The ClickPad, on the other hand, was fairly loud in comparison but yet not disturbingly so. Key travel is fairly short but feedback is very firm and solid in return. From a practical point of view, both mouse input devices worked flawlessly and like the keyboard left a very good impression. 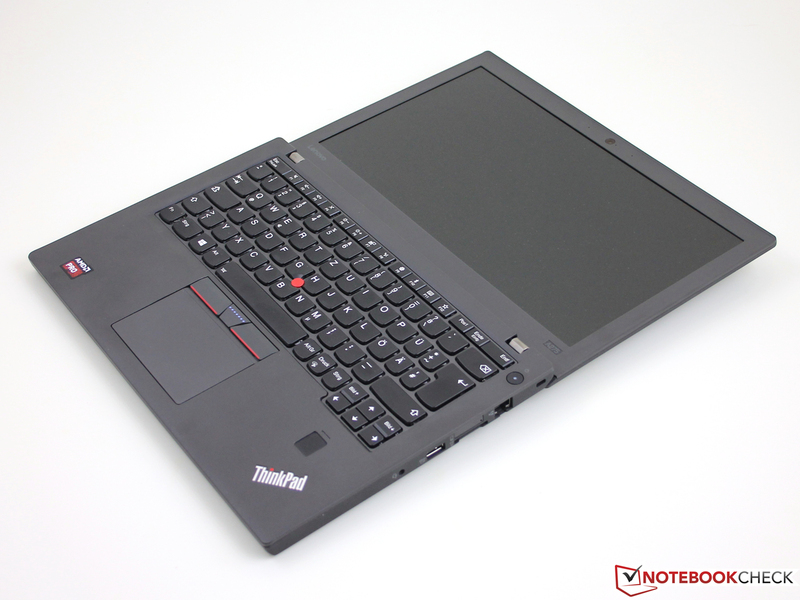 Looking at the matte HD TN panel with its poor viewing angles and low contrast ratio we feel strongly reminded of the dreaded ThinkPad Edge era. Back in those days the display was okay considering the Edge’s price range of somewhere between $500 and $800. Today, a 1366x768 panel in the A275’s mid-range price point is simply no longer up-to-date or even remotely acceptable. 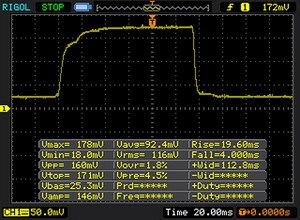 Brightness regulation is implemented through PWM but only for brightness levels of 30% and below. Unfortunately, this is the maximum brightness available on battery. Therefore, sensitive users have no way of avoiding PWM entirely. In addition, the frequency of only 800 Hz is fairly low, which can lead to headaches and eyestrain. 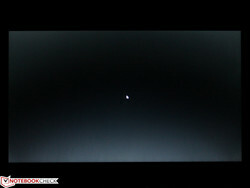 The contrast ratio of 490:1 is very poor, only the HP EliteBook 820 G3 offered a similarly horrible result. IPS panels are significantly better in this respect. The EliteBook 725 G4 offers a contrast ratio of up to 1732:1. 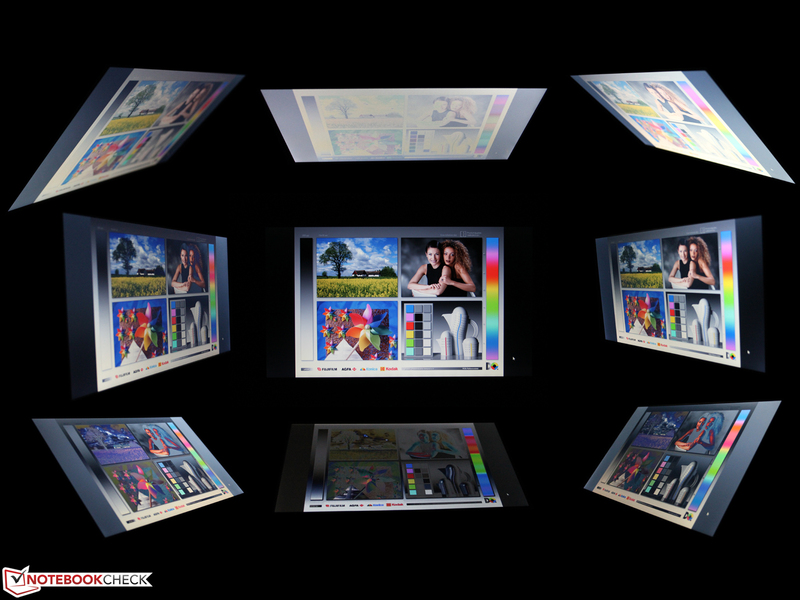 Color space coverage of no more than 63% sRGB is pretty poor as well. Accordingly, the A275 is not suitable for (semi-) professional photo editing with this particular panel installed. As expected, our photospectrometer CalMAN analysis turned out pretty poor as well. 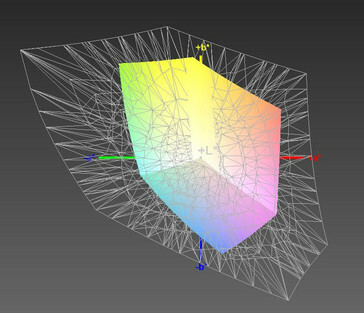 DeltaE deviations of 10 to 12 hint at a horribly distorted color representation out of the box. This can be somewhat alleviated with our ICC profile available for download above. 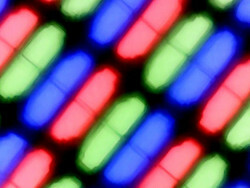 Typically, IPS panels offer a much higher contrast ratio and lower DeltaE. As mentioned before, maximum brightness on battery is limited to 130 nits and we found no way of circumventing this limitation. 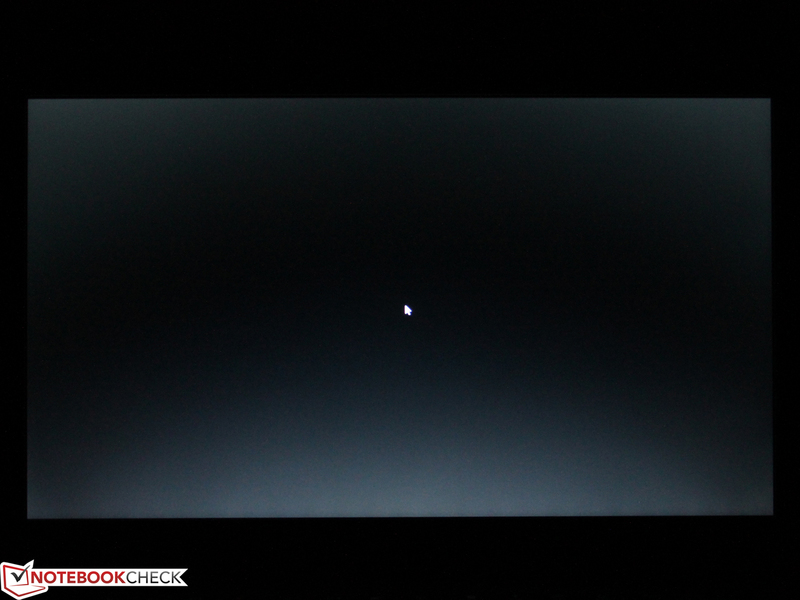 Even the dynamic brightness regulation available through the Lenovo Vantage Tool was of no help whatsoever. While this can certainly improve overall battery life, bright sunshine will quickly become the A275’s arch-nemesis. The display backlight flickers at 800 Hz (Likely utilizing PWM) Flickering detected at a brightness setting of 30 % and below. There should be no flickering or PWM above this brightness setting. The frequency of 800 Hz is quite high, so most users sensitive to PWM should not notice any flickering. Viewing angles are very poor even for a TN panel. Even minor tilts lead to visible shifts in brightness. Accordingly, the IPS panel will be the much better choice. Both, the A275 and A475, are part of Lenovo’s AMD business strategy and have been specifically designed and created as part of this push. In accordance with their business affiliation AMD Dash, a feature similar to Intel’s vPro, is supported. Raven Ridge, AMD’s mobile Ryzen APU, will be available in 2018, which is why Lenovo had to resort to the older Bristol Ridge generation for the time being. At the time of writing, different models are available in Europe and the United States. On both sides of the Atlantic, the base model features the HD panel while the top model comes with the much better FHD panel. On this side of the Atlantic, both models are equipped with the faster A12-9800B SoC and 8 GB of RAM. The base model features a 500 GB hard disk drive while the top model is equipped with a 256 GB NVMe SSD. Warranty on the top model is extended from the base model’s one year to three years. The price difference between the two models is less than $150, with the top model clocking in at slightly under $1,050. Our review unit from Lenovo’s demo pool was equipped with 16 GB of RAM instead. The A12-9800B's base clock frequency of 4x 2.7 GHz can boost on demand. In Cinebench R15, the CPU ran with up to 2.9 GHz but only during the first run. Afterwards, it clocked down to 2.2 GHz, which resulted in 15% lower scores than before. The A275 remained at 190 points for the rest of our Cinebench benchmark loop. 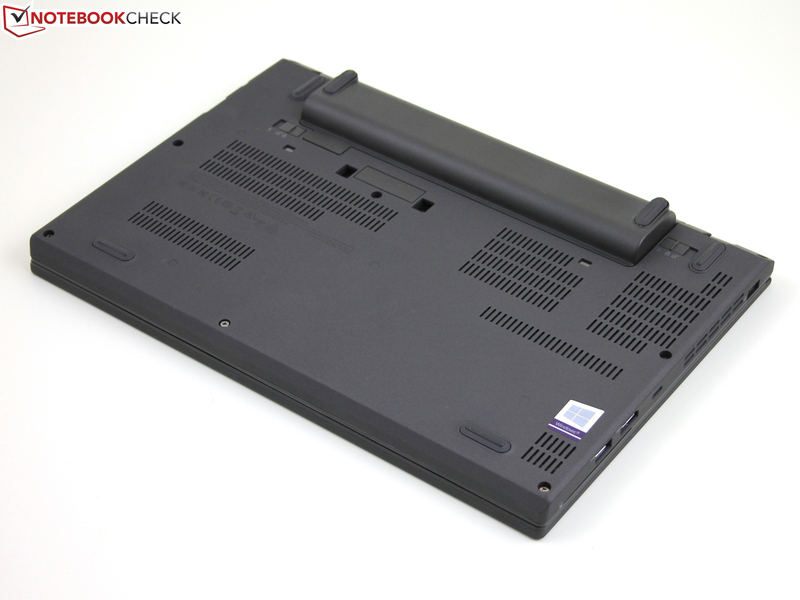 The HP EliteBook 725 G4 equipped with the same A12 APU showed very similar results. Intel CPUs perform much better in this test, even the slowest i3-7100U manages to outperform AMD’s A12 APU. The currently popular i5-7200U is between 47 and 72% faster. On the other hand, Raven Ridge - AMD’s mobile Ryzen CPU - plays in a totally different league: the HP Envy x360 15m yielded the highest score within our test group, which makes us long desperately for the upcoming Raven Ridge updates for the A275/A475. The differences in overall system performance were not as dramatic as in raw CPU performance. The fastest system in this comparison, the X270, was between 12 and 22% faster. Even Ryzen was only around 16% faster than our review unit. The A275’s M.2-2280 NVMe Samsung PM961 SSD (MZVLW256HEHP) sits in a 2.5-inch caddy connected with via SATA Express (PCIe x2). Accordingly, the PCIe x4 SSD’s performance is somewhat limited by this interface. 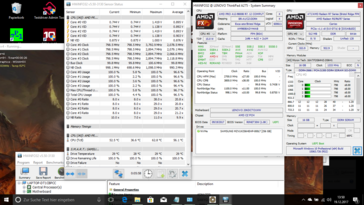 This shows very clearly when comparing the A275 to the EliteBook 725 G4 equipped with the exact same PM961 SSD connected via a PCI x4 interface. 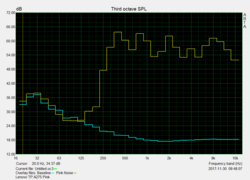 Overall, the latter was around 12% faster with peaks of up to 64% (sequential read). Further details and benchmarks for the Samsung PM961 can be found in our SSD/HDD benchmark table. The Bristol Ridge’s integrated GPU is called Radeon R7. It supports DirectX 12 and runs with up to 758 MHz. 3DMark results were at a level expected of this GPU. Overall, it turned out to be slightly slower than Intel’s counterpart, the HD Graphics 620. Given that the A275 lacks a second RAM slot for dual-channel support, graphics performance cannot be improved any further. The GPU features a 6th Generation Unified Video Decoder (UVD) that can decode the most common video formats, such as H.264 and HEVC/H.265, in hardware. Within the APU, the GPU and CPU have to share a common TDP. This means in particular that both cannot run at full speed under load simultaneously. Consequently, when running Prime95 to cause the maximum CPU load, the GPU ran at only 64% of its specified maximum performance and accordingly managed to render only 16 FPS in Cinebench R15’s OpenGL test. Without Prime95, its result was a much smoother 25 FPS. Games, on the other hand, are too much to ask for on the A275 regardless of dual-channel support. Current games will swamp the Radeon R7 and even older titles from 2013 will only run smoothly at minimum details. On “High Performance”, the single fan was almost always spinning regardless of load. 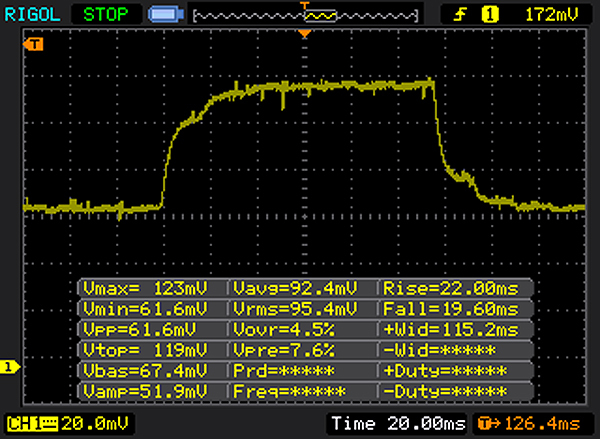 In all other energy profiles, the fan did turn off completely, rendering the A275 entirely soundless. The fan’s sound characteristic is rather sonorous and consistent. When worst comes to worst, the fan spins up slowly and maxes out at 32 dB(A). Overall, it remained fairly unobtrusive. Surface temperatures remained moderate at all times, but we did discover some isolated hotspots during our stress test of around 47 °C (~117 envisioned °F) at the bottom. 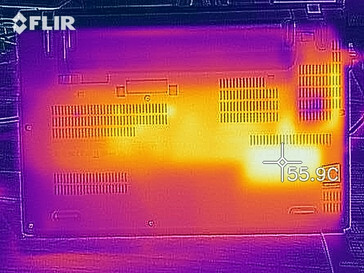 While idling, the entire chassis remained very cool (not even lukewarm) despite the stopped fan. Sustained load was not a big challenge for the A275’s cooling system. In Prime95, the A12-9800B started out at 2.3 GHz but quickly began to throttle. Despite occasional bursts of up to 2.6 GHz at the beginning, it eventually settled at 1.8 GHz after 3 to 4 minutes, and CPU temperatures settled at around 54 °C (~129 °F). During our stress test, it even clocked down to no more than 800 MHz due to the Radeon R7’s high GPU load. 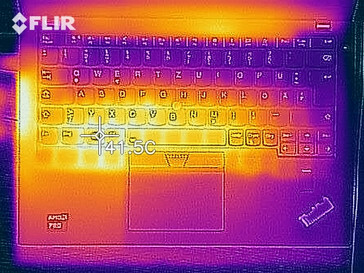 The GPU itself ran at 550 MHz, and CPU temperature dropped slightly to 53 °C (~127 °F). As soon as we stopped FurMark, CPU clock speeds shot back up to 1.8 GHz almost instantaneously. 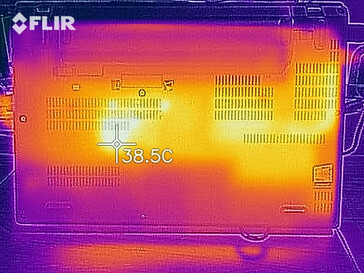 (+) The average temperature for the upper side under maximal load is 31.6 °C / 89 F, compared to the average of 30.7 °C / 87 F for the devices in the class Subnotebook. (+) The maximum temperature on the upper side is 38.7 °C / 102 F, compared to the average of 35.8 °C / 96 F, ranging from 22 to 57 °C for the class Subnotebook. 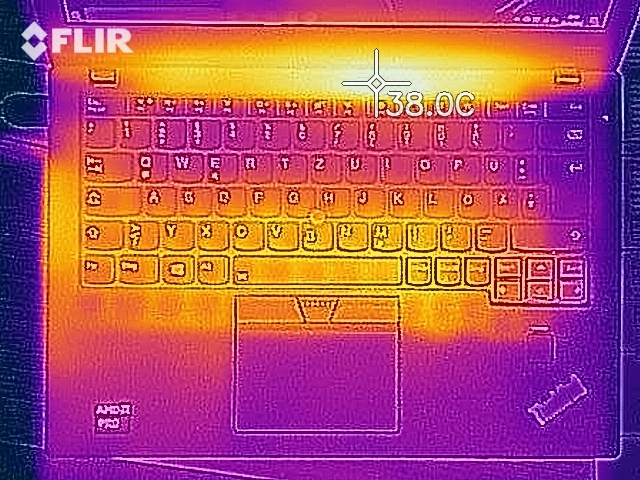 (±) The average temperature of the palmrest area of similar devices was 28.6 °C / 83.5 F (-0.7 °C / -1.2 F). Yes, the A275 really does feature two speakers. 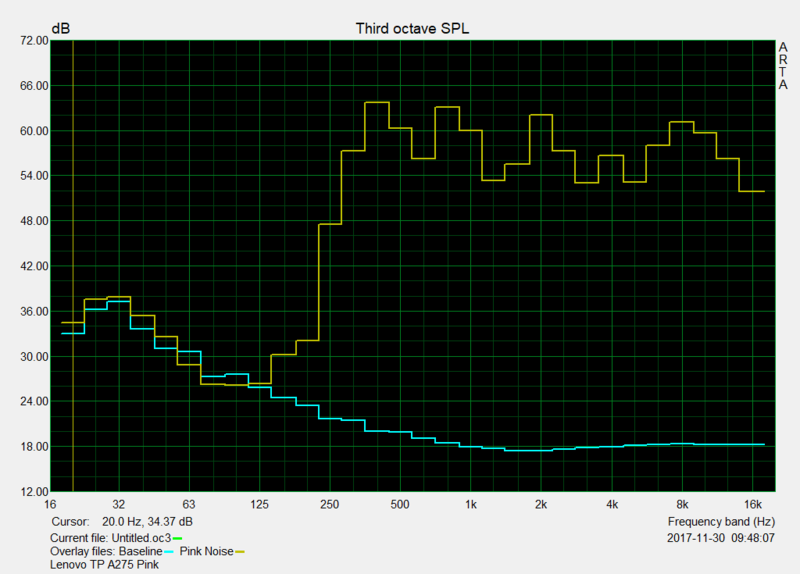 Both are located at the bottom of the device, but overall sound characteristics are pretty poor. It lacks lows and highs, and overemphasizes mids very noticeably. As a result, music sounds somewhat mushy and undifferentiated and is anything but enjoyable. Lenovo’s Advance Tool (Hardware, Software Settings, and Updates) features audio Dolby settings among other things, but failed to have any noticeable effect on sound characteristics whatsoever. Thus, we suggest using headphones or external speakers to enjoy Dolby effects. In comparison, power consumption was higher than on most other 12- and 13-inch notebooks. Idle power consumption was several watts higher on average, and so was the average power consumption under load caused by 3DMark (mostly due to the Radeon R7). Apparently, Intel’s integrated HD 520 and HD 620 are more efficient than AMD’s APU. Under maximum load caused by our stress test scenario Intel systems were just as demanding or even slightly more so than our AMD unit. 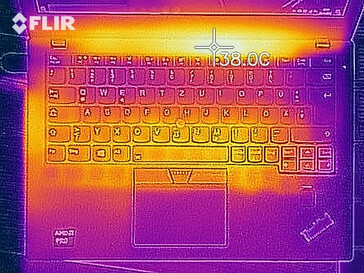 The ThinkPad 13 behaved differently and remained noticeably below the entire competition (28.5 watts) due to its Core i3’s lack of turbo boost support. The two-piece battery consists of a non-replaceable 23-Wh part and a user-replaceable 48-Wh part, and just like on the X270 the latter can be hot-swapped while the system is powered on and running. The A275’s combined battery capacity of 71 Wh resulted in an impressive 16 hour battery life in our idle test at the minimum display brightness and no computing activity worth mentioning. Our Wi-Fi test, during which we simulate browsing the web, is much closer to real-world usage scenarios. Usually, we run this test at a normalized display brightness of 150 nits, but were unable to do so in this particular case due to the 130 nits limit Lenovo has imposed upon the A275. In total, the A275 lasted for nine hours in this test. Under load, the A275 ran out of power after an impressive four hours. Most Intel counterparts last no longer than 1.5 to 2 hours on average but do on the other hand offer up to 70% more performance (X260 , EliteBook 820 G3). 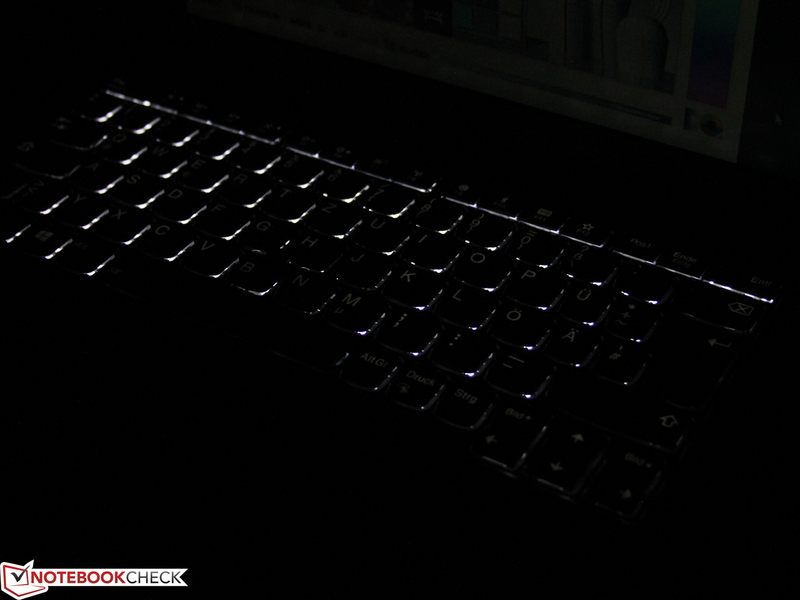 Due to its much smaller battery, the almost identically equipped EliteBook 725 G4 lasted for around two hours under load. The unchallenged king of the battery life is still the ThinkPad 13, albeit 40 minutes more in the Wi-Fi test are nothing to write home about. All things considered the A275’s battery life is quite impressive and right up there among the best of the best. 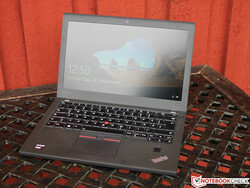 Lenovo ThinkPad A275. Review unit courtesy of Lenovo Germany. 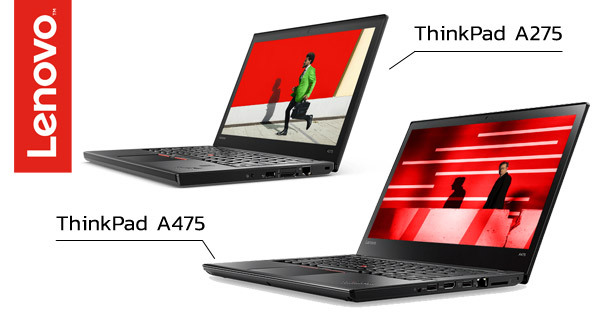 The A275 is certainly no successor to the ThinkPad Edge series. While its build quality is somewhat reminiscent of the discontinued low-end Edge series and we were very disappointed by the base’s lack of rigidity, the A275’s other qualities were quite impressive. 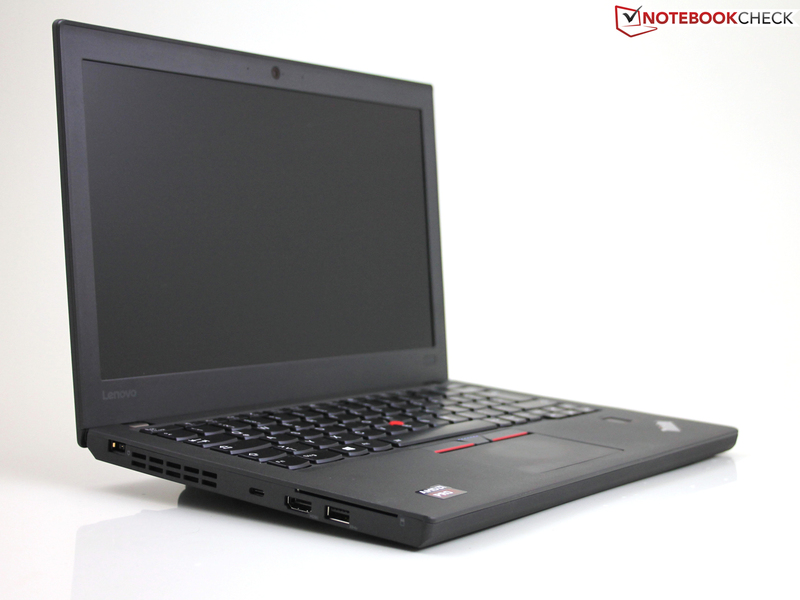 That is assuming you opt for the FHD panel, in which case the A275 is on a par with other mid-range subnotebooks such as the ThinkPad 13 or the X260 . 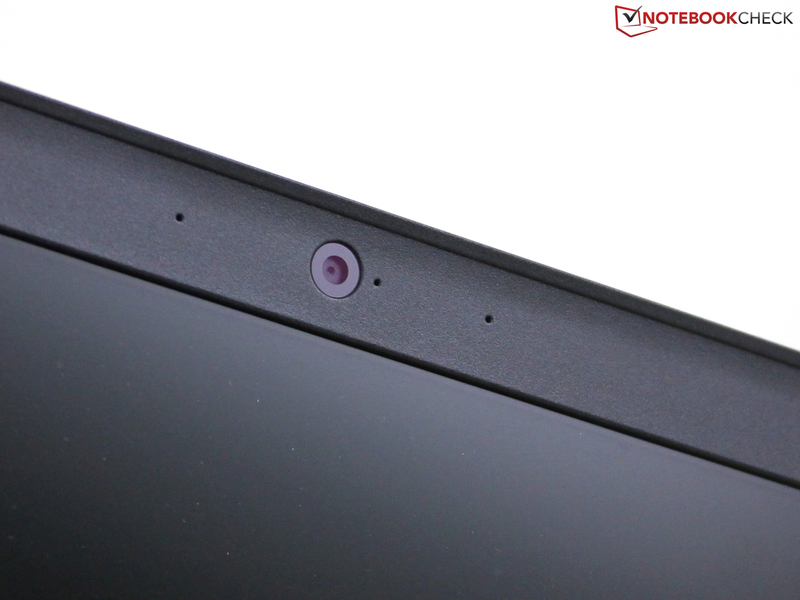 What impressed us the most are the high-class input devices that are 95% similar to the ThinkPad 13 in terms of feedback and layout. Port selection is also excellent, with Ethernet, 3x USB 3.0 Gen. 1, and DisplayPort pass-through support for the USB Type-C port. Security features include a fast and reliable fingerprint reader, a smartcard reader, and a TPM 2.0 chip. The biggest downside was by far the TN panel based HD display. We strongly urge you to opt for the FHD panel instead – it fits the bill much nicer than the HD panel. Maintenance is also a bit of a mixed bag. While the external battery can be hot-swapped thanks to the primary integrated non-replaceable 23-Wh battery, the A275 lacks a dedicated maintenance flap. The entire top case has to be removed in order to access the SSD (M.2), the fan, or the single RAM slot. All things considered, the A275 is certainly a decent workhorse with undisputable qualities, such as its 9 hour battery life in our Wi-Fi test, its excellent input devices, its plethora of ports, and its security features. However, at more than $1,000 we find it to be somewhat overpriced considering the slow and at this point also outdated AMD Bristol Ridge SoC. The HP EliteBook 820 G3 equipped with a faster i5-6200U Skylake processor can be had for less than $1,000 already, and so can the i5-7200U equipped ThinkPad 13 G2. We are having serious trouble finding any convincing reason to purchase this particular laptop other than the fact that HP’s Bristol Ridge based EliteBook 725 G4 costs about the same. However, we consider that laptop to be overpriced as well. A price of less than $1,000 would be more reasonable in order to outweigh the significantly slower performance.